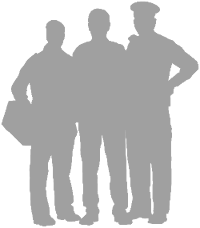 Three First Responders were recognized at the 100 Club of Comal County’s Annual Dinner held on Tuesday, February 24th at the Courtyard Marriott in New Braunfels. 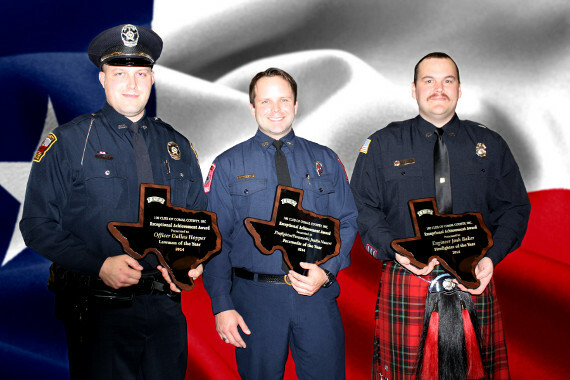 (L to R) Officer Dallas Hopper from the Schertz Police Department, Firefighter/Paramedic Justin Nauert from Canyon Lake Fire/EMS and Engineer Josh Baker from New Braunfels Fire Department were honored for their exceptional achievement in 2014. Congratulations!